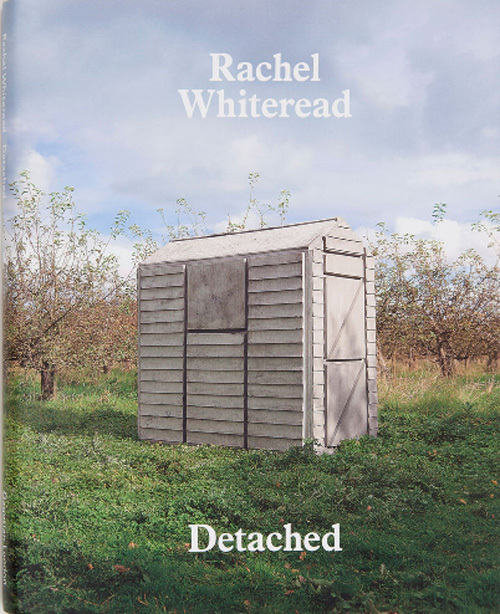 The book Detached is the catalogue to the exhibition in the Gagosian Gallery “Detached,” an exhibition of new sculpture by Rachel Whiteread. Her title calls by name the process of abstracting or distantiating from reality that is an intrinsic part of the artistic process. Rachel Whiteread’s sculpture is predicated on casting procedures, and the traces left on the sacrificial objects and spaces from which the final inverse form is derived. She casts from everyday objects as well as from the space beneath or around furniture and architecture, using single materials such as rubber, dental plaster, and resin to record every nuance. Detached 1, Detached 2, and Detached 3 (2012) render the empty interior of a garden shed in concrete and steel. Cast from generic wooden sheds, the large-scale sculptures render negative space into solid form, and the prosaic into something fantastically disquieting. 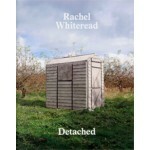 Detached 1, Detached 2, and Detached 3 (2012) render the empty interior of a garden shed in concrete and steel. Cast from generic wooden sheds, the large-scale sculptures render negative space into solid form, and the prosaic into something fantastically disquieting. The sheds recall the monolithic architectural and site-specific works for which Whiteread first became renowned, such as Ghost (1990) and House (1993) and, most recently, the imposing concrete sculpture Boathouse (2010), installed on the water’s edge in the remote Nordic landscape of Røykenviken.